We can change someones life. Christmas is almost here. This year I’m really thankful to have lived another happy, healthy year. I have enough stuff so I’m spreading my Christmas Cheer to families that do not have a home – something I cannot even imagine. Together, we can change their story. I’m asking friends and family to support my campaign (that is you)! Every penny of the money raised will directly build a new home. Even better, New Story Charity will show us, with video, exactly which family we funded once the home is complete. Use link above to spread the love. Successful real estate branding can’t be accomplished with just a fancy logo or a catchy motto. The real secret behind strong real estate brands is a combination of creative elements and on-point messaging into a coherent identity. And if you want to become a real estate branding champion, it takes valuable content, a strong media presence, and regular interaction with your audience to convey that identity. Each of the agents and brokers listed below (in no particular order) has mastered the art of branding in some aspect, so check out what makes their brands unique and memorable, and learn how you can emulate their methods to bolster your own real estate agent branding. Qsar’s brokerage has been a leader in the video marketing sphere for some time now — so much so he could be designated the King of Real Estate Video (should such a designation exist). From hiring excellent video marketing vendors to help him capture some amazing listings, likeHale Ali’i, to shooting his own recordings featuring his agents and the properties they represent, Qsar has shown a knack for crafting wonderfully attractive and charming videos that make you want to watch over and over again … even if you don’t happen to be in the market for homes for sale in SoCal. The videos have now become a trademark of his agency, and it’s thanks to some nifty real estate branding savvy from Qsar. It’s hip to be square. The Geeky Girls Archer and Davis have taken this mantra to heart with their real estate branding approach — one that’s made them well-known in the world of real estate. The social proof is in the pudding: Just take a look at the duo’s Placester website homepage and you’ll see a multitude of industry members sporting Geeky Girls gear. A bold color scheme to accompany their creative logo and a sense of pride in their unique business persona have earned the pair quite a following. Want to emulate success? Don’t feel obligated to label yourself as “The [Insert Adjective Here] Agents.” Instead, focus on what separates you from other agents in your market and blend that information seamlessly into your real estate marketing. For instance, if you mostly sell great beachside properties, use language in your marketing messaging to denote your status as one of the premier beachfront property sellers in the region. A catchy moniker, like The Geeky Girls, is simply gravy. Matt Beall is a prime example of real estate branding done right for several reasons. He built his agency, Hawaii Life, rapidly — more than 200 agents and brokers have joined the firm’s 11 offices in just four years. He’s hosted a brokerage-sponsored real estate conference called Worthshop that has featured numerous big industry names. He positions his firm online as the preeminent brokerage in the state. And, on top of all that, he’s even managed to get his agency some airtime on HGTV, thanks to the aptly named series “Hawaii Life.” In other words, Beall has put in the work needed to build a powerhouse real estate firm and is now focusing on maximizing its potential by getting its name out through various channels. Not all real estate marketing strategies need to focus entirely on getting in front of consumers. Directing your marketing tactics at your peers can position you as a thought leader in the agent community. Take Thorne and Fauquier, for example: Their RE/MAX-sponsored “Mobile Agent TV” webisode series entails them interviewing the best and brightest in the real estate sector. These shows (like the episode above featuring Placester’s Seth Price) inform agents and brokers all over on how to better their bottom lines with the latest and greatest sales and marketing efforts, emerging technologies, and general business tips. Additionally, though, the series has transformed them into knowledgeable agents in the eyes of their local market. Each and every episode of “Mobile Agent TV” enhances Thorne and Fauquier’s status as a go-to resource. It pays to work in one of the hottest (literally and figuratively) housing markets in the nation, but even that is no guarantee for success. Miami-area agents Jill Hertzberg and Jill Eber, who have capitalized on their first-name branding opportunity, understand that it takes some special marketing to stand out from the crowded field of real estate professionals operating in sunny Miami-Dade County. Thus, the dynamic duo has worked hard over the last several years to cement themselves as the premier agents not only in South Florida, but across the U.S. and world. Nearly every usage of their simple-yet-elegant logo is accompanied by copy denoting their status as “the #1 agent team worldwide.” When you’ve got the numbers to back up your claims, it’s an easy decision to take advantage of such a title. The Jills don’t rest on this logo and tagline, however — they also make sure to optimize their joint real estate website, produce detailed real estate videos, and take advantage of speaking engagements and other promotional endeavors. Travis Greene, CountryWide Properties, Inc.
Branding for real estate businesses is primarily accomplished online these days, thanks to a bevy of inbound marketing tactics agents and brokers can implement. But offline marketing methods can also make an impact. For instance, Realtor and Placester customer Travis Greene has added his real estate agent branding to his truck, meaning he can promote his business simply by getting behind the wheel. Offline marketing techniques like this can go wrong (very wrong, in some cases), but Greene manages to incorporate his online branding into the real world effortlessly and attractively. Having a strong internet presence is vital to real estate marketing success, but spending some ad money on things like this can still offer reputational benefits. As we’ve discussed on the Academy before, agents have a wide array ofreal estate conferences available to them. Some of these conferences cover broad topics, like technology’s role in real estate and how to better organize your team. Others take a different approach — like Hear It Direct, a series of consumer-meets-agent events started in part by Sue Adler. What better way to market yourself than to speak with buyers and sellers in your area and answer their questions? As with the RE BarCamps that have become popular among agents nationwide, Adler’s Hear It Direct conferences have helped close the divide between agents and consumers, and make it simpler for both sides to understand one another. Adler can take a lot of credit for how successful Hear It Direct has become and deserves recognition for her selfless real estate branding. It’s a novel approach to a fundamental idea: Speaking and networking directly with those you want to work with. You have to go to great lengths sometimes to develop effective real estate agent branding — literally and figuratively. Sacramento-based Realtor Jon Hesse, for instance, flew a great distance to meet up with a branding firm he hired to get his photos taken for promotional images. The results? Well, just look at the “about me” infographic above, which features one of the images taken by the agency. It’s simple, yet shows Hesse is serious about his business because he’s willing to take the time to get professional shots taken. The same branding is used atop his real estate website and on all of his major social media accounts, meaning he’s taking full advantage of the branding services he secured. It can cost a pretty penny to get photos taken by seasoned pros, but if the fruits of that labor end up making you look reputable in the eyes of your audience, it’s more than worth the expense. When you think “skydiving,” you may think “risky,” but perhaps that’s exactly what Giguere wants you to think: that she’s willing to take risks to help her clients close deals and provide excellent customer service. Look closer at her real estate branding, though, and you realize she’s much more than a gimmick. Giguere has charm and personality to spare, and clearly shows she cares about her clients. Email is a core element of her real estate marketing plans, as shown in this Academy post, while she also spends a great deal of time on her blog to inform the local community about interesting events, venues, restaurants, and other goings-on. Simply put, Giguere goes all out to make herself as personable and relatable as possible — and she passes that test with flying colors. To become a local, trusted brand name, real estate agents must implement some creative real estate marketing. A high-quality, appealing logo can be a great starting point for establishing your brand, but the real secret to broadening awareness and generating interest in your business is to use your brand marks in as many places as humanly possible. That means doing what Realtor Julian Pilarski has done, creating a beautiful real estate logo (like his below) to use on every page of your site, in your email marketing, atop your social media accounts, on flyers, in ebooks, and any other marketing collateral you create. Pilarski specifically does an excellent job of using his logo in his real estate videos, as evidenced above. The branding is prominent at the beginning and end of his videos, and is even used in the corner of the screen mid-video. Seemingly small touches like these used hundreds of times over will add up over time and resonate more and more with local real estate customers. Some agents forget to have a print real estate branding strategy in addition to online tactics. Look to Judith Weiniger’s marketing, for inspiration: She has mastered the art of the real estate mailer. Weiniger sends out print collateral like market reports and a home seller’s guide that are perfectly branded. They feature her agency’s logo, have a unified color scheme, and, most importantly, feature lots of valuable content that educates her audience. Who do you think will be atop the list when recipients decide to buy or sell? Once again, consistency is key. Weiniger noted in a Placester Academy post that sending out mailers a dozen times annually is ideal. Doing so has helped get her and her company top-of-mind with qualified leads in her market. Need some real estate branding ideas? Check out our Academy post 75 Ways Real Estate Agents Can Promote Themselves Online. What are some real estate brand examples you’ve seen that you loved? Share some notable instances in the comments section below! Inman is interviewing industry thought leaders to find out what’s next in 2016. Here’s Tom Schick, an agent at The Boutique Real Estate Group. What are your technology predictions for 2016? The push towards the high-tech agent is expanding the gap between the great agents and the good agents. I see the best companies hiring technology specialists to assist with clients, listings and marketing. I also see the rise of marketing automation, to stay in touch with people, generate new leads and respond to property inquiries. More agents in 2016 are getting into the tech trends to improve agent websites, capture leads through apps, ads and websites, and to tell the story and capture the emotions of buyers in property websites. We at The Boutique Real Estate Group pride ourselves on staying in front of the tech curve. What big tech trends are you watching? I’m personally moving marketing dollars around from the typical Zillow, Trulia and realtor.com spending, and moving it into Adwerx, Google Adwords and lead-generating sites such as “get your home value” or localized sites to target specific neighborhoods. I use apps like MLS-Touch to give my buyers and sellers the most up to date information when we’re out in the field, and I really like what RESAAS is doing to connect agents all around the world through a social site similar to Facebook. I’m involved in several groups in the RESAAS network including referral groups and brainstorming panels for marketing and tech trends. What is more important: mobile or cloud? I think mobile is still more important for my clients, but the cloud is more important for the doc-sharing and collaborating inside of our real estate firm. In my world, they are both critical to growing my business. I use an iPhone 6 Plus, and I love being able to share my incredible property videos and websites with clients. Here’s an example:www.4582OceanRidge.com. Today, I use my mobile device to type more emails than I do my computer. Being able to be out with my clients or out being social is critical to me growing my business, so I don’t like to be at a computer for more than a couple of hours a day. I also use mobile apps like Docusign mobile, zipForms mobile, the Google Drive app and the Dropbox app. Will the tech bubble burst? No, I don’t think so. It’s not a bubble. Today, the tech world doesn’t have a ceiling or an end in sight. What is next for Zillow? Is it taking over the world? No, just kidding. Zillow has become this online real estate listing giant. I saw that its agreement with ListHub has come to an end, so it’s going to have to develop new relationships with individual MLSs and individual brokers. Just like everyone else, Zillow has to continue to reinvent itself, or it will get lost in the dust. Individual agents and brokers are creating their own search sites, and I think that will take away from the major portal sites. Will the Broker Public Portal be launched in 2016? It looks like its close to happening. Broker Public Portal LLC, is working on coming up with the data license agreement with MLSs. I like the idea of being able to brand the MLS experience for clients. Will Upstream be launched in 2016? Yes, it looks likes NAR and Upstream are working through the details now. It’s about time that technology jumps into our MLS system to streamline data entry and help autopopulate forms. We use the CRMLS system, which is getting better, but going into other MLS systems can be quite the time-waster for a busy agent. Hopefully, Upstream will help to streamline record keeping and data entry. How will predictive search change homebuying? I think predictive search will help agents key in on the specific locations and needs for their clients. When buying a home, there are so many factors such as location, size of house, school districts, traffic and freeways, shopping, crime rate, local hobbies, etc. I think buyers will have a better idea of where they want to search for a house and this will save time for both the buyer and the agent. I’ve worked with some buyers that know what they want, and others that are relocating and want to see 10+ cities, to narrow things down. Will on-demand showings go mainstream? I think on-demand is a great backup plan if time is limited…but I believe that you can’t replace a good, seasoned agent with a randomly chosen agent. Buyer’s agents constantly complain about losing clients to other agents, or buyers not being loyal. I think building a relationship and trust with your buyer is critical, and I haven’t lost many buyers over the 12-plus years that I’ve been in real estate. It’s not all about locating the house and moving right in. A seasoned agent can negotiate price, repairs and many important details of a buyers transaction. Will the automated offer become reality in 2016? I don’t think the automated offer will become a reality. Some sites claim that they help cherry-pick the best real estate bargains and submit offers for their clients. I don’t think it’s smart, and I don’t like the idea of automated offers. A seller and a buyer need an agent who works specifically with their best interest in mind, and automating offers doesn’t sound like a good way to accomplish that. Buying a house isn’t a small investment, so I feel that a lot of time should be spent with a trusted and respected Realtor. Will Closing in a Box happen in 2016? Closing in a Box is a great idea. We already offer all of these items to our clients, and my amazing transaction coordinator keeps my files neat and orderly. Having all of these functions in one app or website is a great idea, though. How will machine learning change real estate? Machine learning will help agents and loan officers see which people are likely to buy or sell. It will cut down on time and save a lot of marketing money. We have a couple systems that show us trends, such as ReboGateway, but one of our lenders at Primary Residential Mortgage has created a system that has really helped my business. Ride to Build. Benefiting the Giveback Homes Build in The OC. 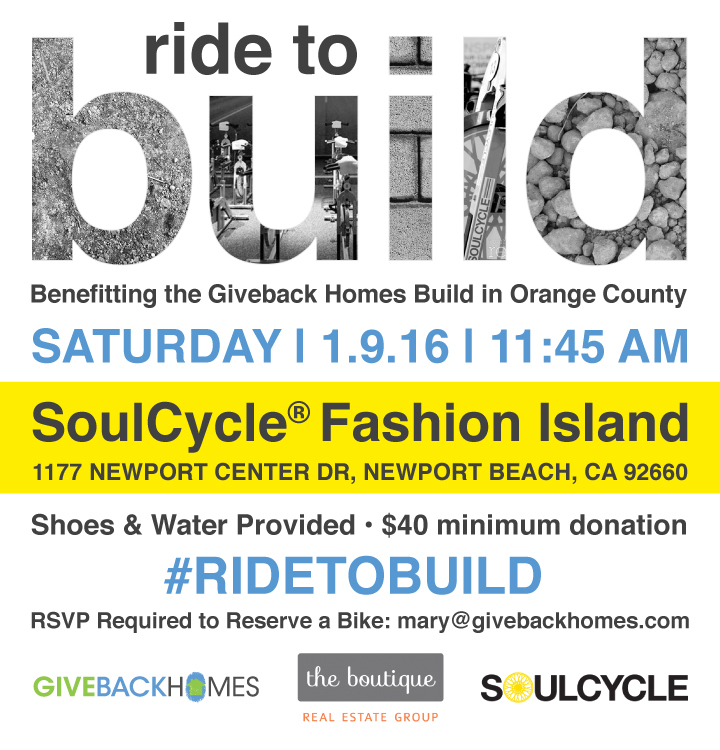 Join Giveback Homes, The Boutique Real Estate Group and SoulCycle in Newport Beach as we raise money to build a home for a family in need. YOU MUST RSVP to Mary@GivebackHomes.com to save a bike. Sign Up on The Facebook Event Page Today. FREE to the public. Join us on Sunday December 06, 2015 11:00AM – 4:00PM at our office. 3653 E. Coast Hwy in Corona del Mar. Corner of PCH & Poinsettia. Champagne, Hot Chocolate, Donut Bar and Open Air Photo Booth with Mrs. Claus & her Elves! The Corona del Mar Chamber of Commerce is proud to present the community’s most popular event of the year! This is an absolute can’t miss special event filled with holiday festivities for family, friends, residents and visitors looking for a spectacular way to ring in the holiday season. Each year “The Walk” brings together thousands of fun-loving people into the Village of Corona del Mar for live entertainment, food, prizes and games in true holiday spirit! >Restaurant tastings and celebration parties. >Kid’s entertainment including snap shots with Santa Clause, bouncy houses, bungee jumping, holiday characters, a petting zoo and more. >Unique vendor exhibits in the popular vendor faire at the center stage. >Famous Opportunity Drawing with over $15,000 worth of prizes. Each year local merchants donate prizes for the popular Christmas Walk Opportunity Drawing and the odds are spectacular. Purchase tickets to win unique gift items, hotel stays, restaurant dinners, spa packages, gift certificates, services and more than $15,000 worth of prizes. Winner need not be present so get your tickets in advance. Tickets also make great gifts for clients. Ticket prices = $1 ea. In our latest #SindeoSitDown, Owner of The Boutique Real Estate Group and video guru, Raj Qsar, sat down with us to talk about how and why realtors everywhere should be leveraging video to grow their business. So…what did we learn? For starters, if you’re not already using video to market your listings you should be! Listings that use video receive 4x as many leads as those without. Video has become the #1 ROI for money spent and returned for Raj and his team, as is the case for most realtors doing video successfully. What kinds of things can you add to video to make them exciting and “sticky”? Add a human element – Create videos that are about more than just the property. Feature pets, give the house a story, include actors that “live” in the home, find ways to make it feel real so viewers can relate. Include the community – B-roll footage is key. Buyers aren’t just moving into a house, they’re moving into a community. So, show it to them! Shots of local businesses, parks, beaches, and amenities go a long way. Plus, this content is evergreen, meaning you can use it again and again. Make it cool – There are so many hi-tech additions you can incorporate to put your video above the rest. Use hyperlapse, add filters, film aerial shots with a drone! Create beautiful and effective listing videos that capture a buyer’s attention and keep clients coming back. Don’t know where to start? Get inspired by some of Boutique Real Estate Group’s amazing videos. Check them out! Did you know 85 percent of sellers want to work with an agent who uses video? And homes listed with video get 4x the inquiries of homes listed without it! Marketing your property with video has quickly become the largest and most effective way to reach your clients. So what does this mean for you? If you’re not already leveraging video, you should be! 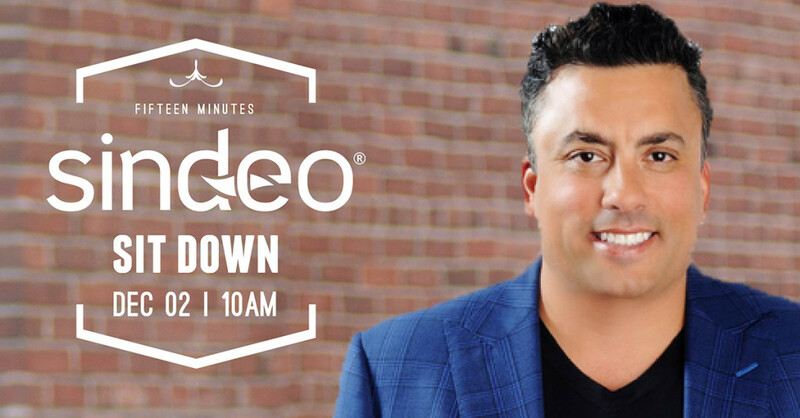 In this #SindeoSitDown, Founder/Owner and marketing extraordinaire, Raj Qsar, will explain how to think about listing videos a bit differently ad how to drive traffic to your listings. 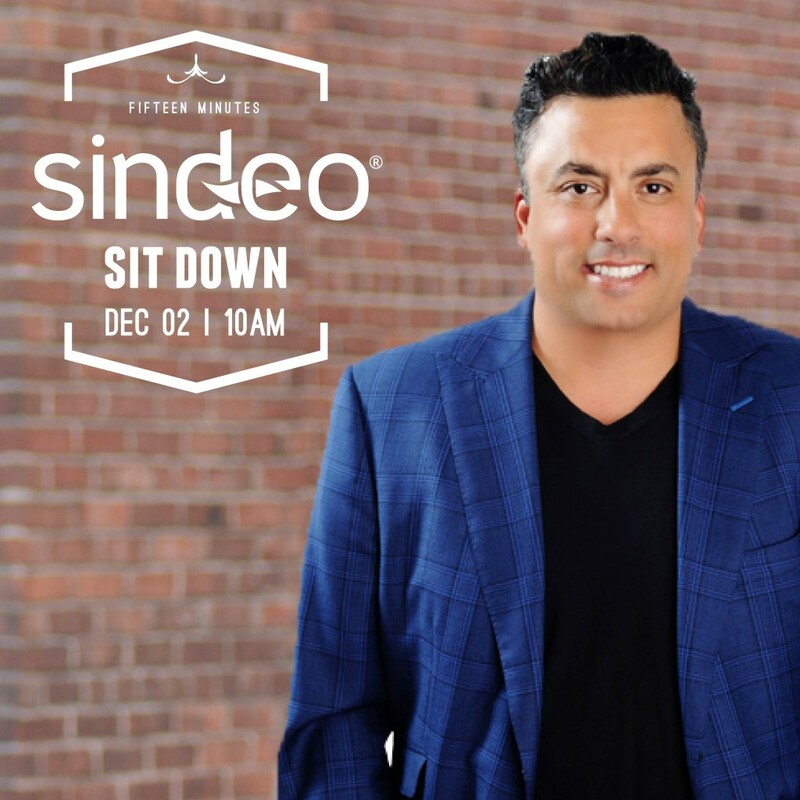 Join us for this 15 minute #sindeositdown on Wednesday December 2nd at 10am.